CMS released the model documents last week, on Friday afternoon, 05/25/18. While the final CMS Marketing Guidelines have not yet been published, based on discussions with DMC consultants, and other experts, it appears from the instructional language accompanying the model documents that Plans can simply mail EOC Notices to Members, instead of EOC books, beginning with the 2019 ANOC/EOC mailings. The CMS requirement for Plans to deliver EOC books to its members is then accomplished by Plans posting the EOC documents on their websites in conjunction with the mailing of the EOC NOTICES, just as is currently done with the Provider Directories. Of course, last year, CMS also began allowing Plans to provide delivery of the formulary books through this same process (i.e. mailing formulary Notices/posting formularies on the Plan website). The decision to include formulary and EOC books is Plan optional. We know there are some Plans that intend on mailing the formulary and EOC books to their Members; but, we thought it compelling to bring this information to your attention. If a Plan elects to only mail formulary and EOC notices to its Members and fulfill delivery requirements electronically by posting these documents on their website, then the Plan must be ready to fulfill Member requests for these books within three business days of the Members’ request (i.e. books must mail within 3 business day; there is no delivery time requirement). DMC can provide NEXT DAY fulfillment services for a Plan’s Member document requests. When DMC fulfills these member requests we provide corroborating documentation in the form of USPS mailing statements and appended Member data files. DMC appends the USPS IMpb barcode to the Member data files, which then provides proof as to the timing of the fulfillment (date mailed) and proof of delivery (USPS Delivery Confirmation). Plus, DMC can effectuate these mailings at Bound Printed Matter Parcel rate (standard mail/marketing mail rate), which is far less costly than whatever method might be used by Plans that are fulfilling these Member requests internally at their offices. On April 2nd, 2018, CMS issued the final 2019 AEP CMS Call Letter in which it announced that Plans will be able to offer the Epresentment of EOC documents (PDFs). It is unclear at the moment if the Epresentment process is best served with the delivery of PDFs through the DMC Client Portal to Plan Member Portals hosted on the Plans’ websites or with delivery through some type of secure email protocol sent directly from DMC to the Plans’ Members. DMC’s programming team is commencing work right now on the Epresentment solution for 2018 and will address this opportunity on a plan by plan basis; including DMC supplying the Member Facing solution as part of its Client Portal Solution. Please note that all automated Epresentment documents will be 508 Remediated, as required, on a per document basis, in accordance with CMS regulations. DMC’s programming team is in the process of moving our Client Portal Solution from a team member/vendor’s server in Chicago to a Cloud Based AWS Server with redundancy and technical enhancements. In fact, since DMC is now in the position of having to address the Opt-In Epresentment solutions for our Medicare Health Plan Customers, this might be a perfect time to for your Plan to have DMC customize a Client Portal Solution that meets your Plan’s particular requirements. If given the opportunity for a webinar with your Plan, DMC can demonstrate its Client Portal Solution for your Plan, that includes real-time tracking and delivery confirmation of all ANOC/EOC and Post Enrollment Kit mailings plus on-line access to all original documents mailed to the Members. Instant access to all of this information is made available through a MEMBER SEARCH FUNCTION that can be used by your call center personnel. Call center personnel can also interact with the Client Portal to order Member replacement materials. 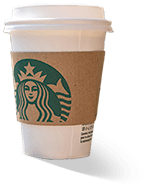 For more information about the DMC Client Portal Solution and turnkey solutions, please view our 2019 AEP video and receive our $10 Starbucks Gift Card. Direct Media Communications, Inc. (“DMC”) has been creating, printing, and mailing ANOC/EOC materials for Medicare Health Plans, including MAPD, DSNP, MMP, CSNP and COST Plans now for more than a decade. DMC has established a virtually flawless track record with on-time mailings and 100% accurate assembled/inserted package content. DMC can assist your Plan with turnkey solutions, including Document Creation, Document Review, and the Variable Data Programming of multiple ANOCs and EOCs across multiple Plans to save both time and money for Plans operating in multiple markets. DMC has completed the ANOC and EOC development of 108 versions of these books for a single Plan using just 3 Basic Programmed Dynamic Variable Templates. DMC uses a Proprietary Program Data Grid solution to rip Plan benefits through the dynamic templates and thereby eliminate the tedious task of populating CMS Model Documents. Once DMC programs your Plan’s ANOC and EOC Templates, we can populate variations across hundreds of Plan versions in a matter of a single day. Our competition wants to sell you a complex software program that still leaves your Plan responsible for developing its own materials. DMC’s Consultants and VDP Programming Team start with this year’s CMS Model Documents and then assist in the development of a Plan Benefit Crosswalk that is used to provide an automated solution to the development of ANOC and EOC documents. For substantially less than what our competition wants to charge for their software; with just spending a mere fraction of the price tag on their software solution, DMC will provide you with finished 2017 ANOC/EOC documents.